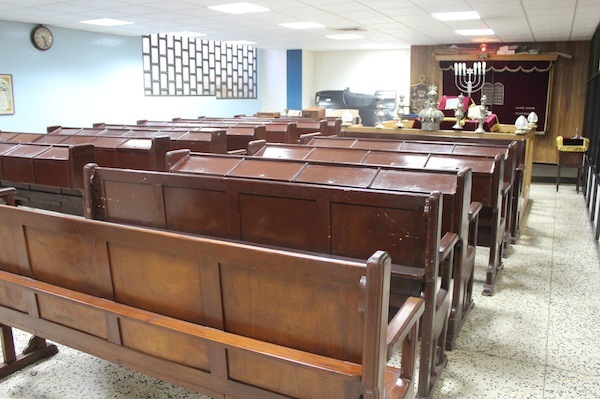 A few steps away, on Picota Street, an entrance leads into the basement of an old building to reveal a modest but well-appointed synagogue that has been serving Cuban Jews for almost 100 years. Rabbi Yacob Berezniak greets me, though I’ve made no appointment, and talks proudly about the synagogue, but is distressed at the situation with the Jews in Cuba. The community is dwindling, he says, and aging. The Jewish community in Cuba started growing with an influx from Poland and Russia after the First World War and continued for almost three decades. At its largest, it’s estimated to have been more than 20,000. 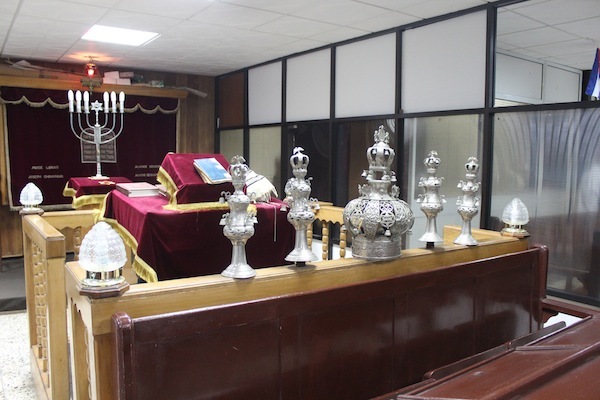 Not only was it big enough to build and maintain one synagogue, but, as tends to happen in many Jewish communities, it supported a break-away group that moved into a building next door. After the Cuban revolution, however, changes in the political and economic structure, as well as restrictions on religious observance, caused many Jews to leave – for the United States, Israel and Mexico, among other locations. Today, according to Berezniak, the community numbers only 1,200 in all of Cuba, with 900 being in Havana. Poverty in Cuba is a controversial topic. There are those who talk about how the reforms after the revolution provided an ideal lifestyle. Indeed, there are few who would argue that Cuba has had some of the best educational and health reforms in the world. Many foreigners have been coming to Cuba to get health care they may not find in their own countries. But good health care does not mean that the poorest can afford medications, Berezniak lamented. There is definitely a two-tiered system in Cuba. Those who are strictly living in the socialist economy have a token stipend that may only amount to a few dollars a month. They receive their money in Cuban pesos (CUP) that are worth about $0.05 Cdn. Their needs are supposed to be met with ration coupons for food and other necessities that often don’t fulfil the requirements of a large family. They live in homes that have been inherited from their parents. If their family grows, they can’t simply move into another location. Those who have managed to get business licences, especially if serving the tourist industry, have a different story. They are paid in Cuban convertible pesos (CUC) valued at $1 US. A taxi driver can make 50 CUCs for a half-day’s work taking tourists around Havana. To help the oldest and poorest, Adath Israel offers free meals whenever they can. Every Friday, for example, they have a free fish dinner that fills the synagogue. 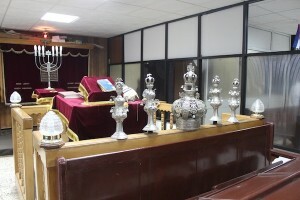 The poverty and shrinking Jewish population are two reasons why Berezniak welcomes donations – financial and otherwise – to the synagogue. On my visit, a friend and I dropped off bags of clothing, cosmetics and toiletries – items that we take for granted but are very costly in Cuba. Prescription and non-prescription medical supplies are also needed. With the decision in January by the Obama administration to lift the U.S. embargo of Cuba, it will be easier for certain Americans to travel and bring some supplies in small quantities, but it’s hard to say how long that will take to impact the small country. As well, larger exports are still restricted. Limited products such as telephone, computer and internet technology are now open to trade, and investment in some small businesses is permitted. But general U.S. travel tourism is not open yet. It’s expected that tourist trips will be limited to supervised groups, and there has been no agreement yet about airline flights. If you are thinking of seeing Cuba, consider going while it’s still building and renovating its infrastructure for tourism. Havana travel agent Ivan Barba said Havana is already almost at its maximum for the number of tourists it can hold; and it will get worse as the U.S. decision opens the door for more. Food and lodging are still quite affordable, and there are numerous all-inclusive flight and hotel deals direct from Vancouver. To contact Adath Israel, call 1-537-860-8242 or email [email protected]. Allow a lot of time for email response, however, as internet service is sporadic. 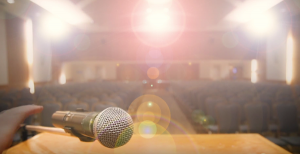 Baila Lazarus is a freelance writer media trainer in Vancouver. Her consulting work be seen at phase2coaching.com.